When in India, the number one item on anyone's bucket list should be trying all the local food! 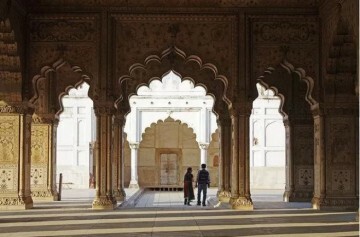 India is home to a variety of regional cuisines, each with their own diverse food items and special dishes. Indian food is distinct and flavourful because of the enormous number of herbs, spices, vegetables and fruits included in every dish. 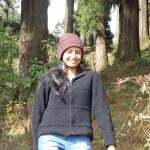 Here, let me introduce to you an array of mouth-watering local foods you definitely must try when you visit India. Biriyani is a famous dish all over India but different regions have their own ways of preparing it. 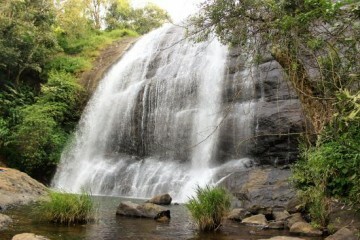 It is popular with the common people because it is made up of rice, a staple food of India. 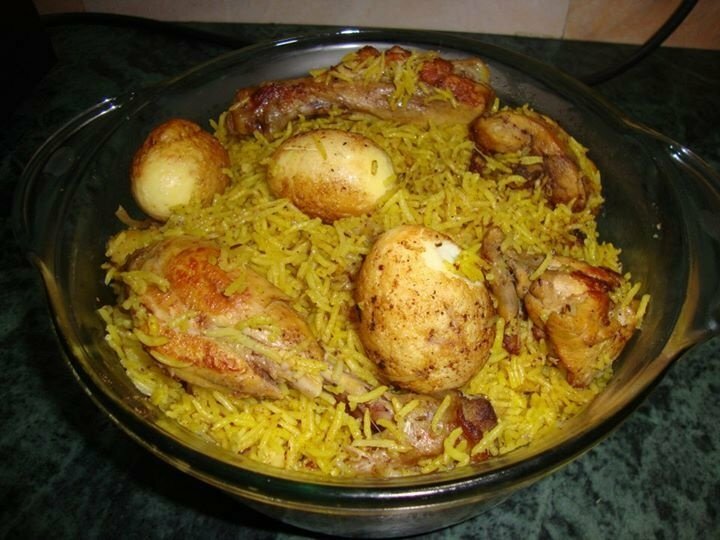 The best form of this dish is the Hyderabadi Biriyani, which is complete with chicken, boiled potato and egg mixed with Basmati rice. This is another popular Indian recipe inspired by the Mughlai kitchens. Kebabs are roasted pieces of meat or fish, which have been marinated for a long time. Marinated pieces of meat or fish are skewed, often along with other vegetables and roasted or grilled in a tandoor (clay oven). This dish is prepared using fish, chicken, mutton, lamb or pork. 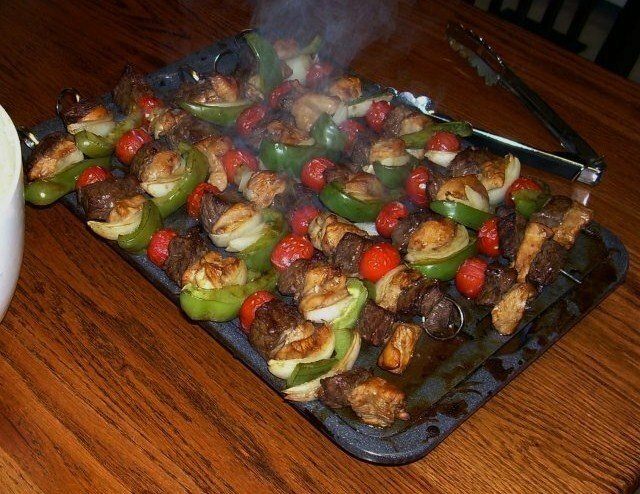 Beef kebabs are also common. They can be enjoyed inside sandwiches and burgers or served hot with a green chutney. Various kinds of spices are used in marinating the meat. The famous varieties of kebabs found in India are sheesh kebab, shawarma kebab, shammi kebab, tikka kebab, boti kebab, reshmi kebab, kathi kebab and malai kebab. Stuffed Paratha is a staple breakfast material in most households of India. 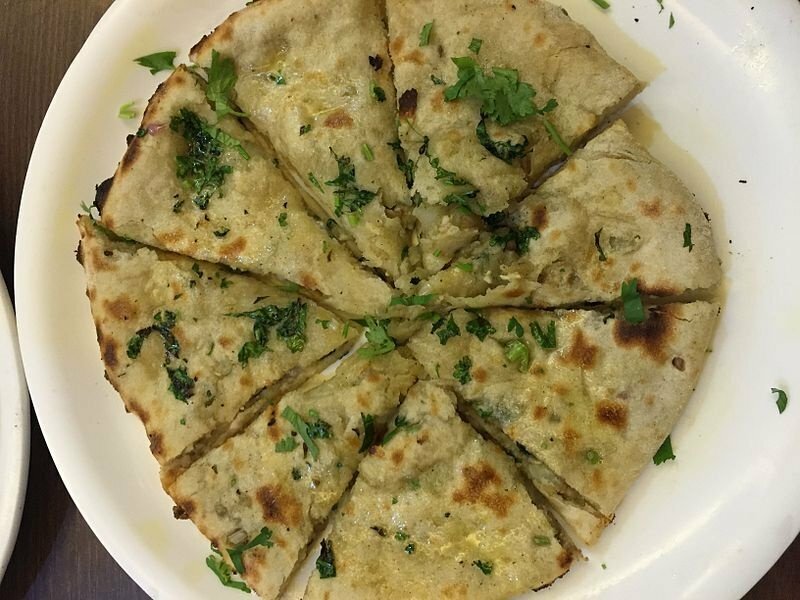 Parathas are made of flour, a kind of flatbread fried in oil. Different vegetables and ingredients are used for stuffing like potato, cauliflower, lentils, radish and paneer. Meat stuffed parathas are also common. These stuffed paratha stalls are found in the nook and corner of every market place and crowded city corners of India. Delicious and mouth-watering, stuffed parathas are never to be missed if you visit India. 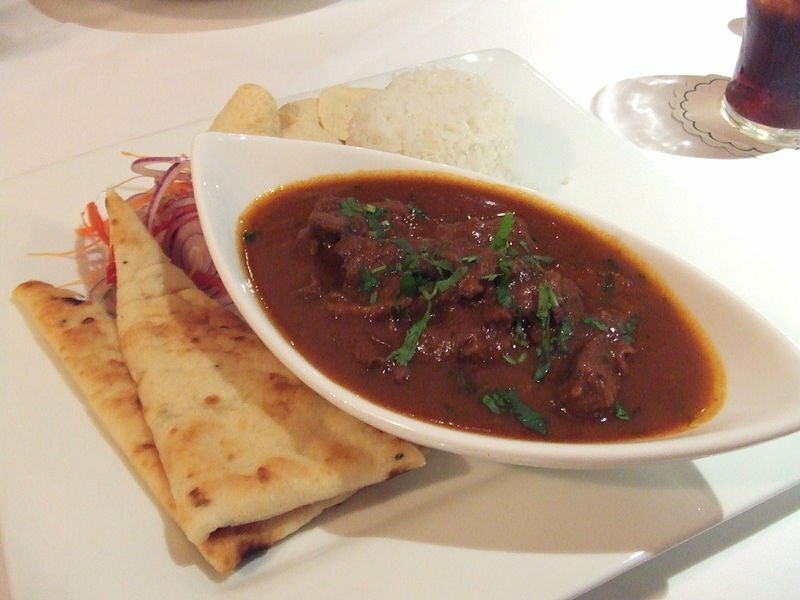 This Kashmiri delicacy is an aromatic gravy curry of lamb, goat or other meats. This signature recipe of Kashmir has a Persian origin. Though it is very spicy due to excessive use of red chili powder in the preparation, Rogan Josh is a must try for everyone. Kashmiri red chili powder gives this curry a red look, along with pepper, cardamom, anise and bay leaves. Mutton and lamb are the most commonly used meats for this preparation, but beef is also occasionally used by some. 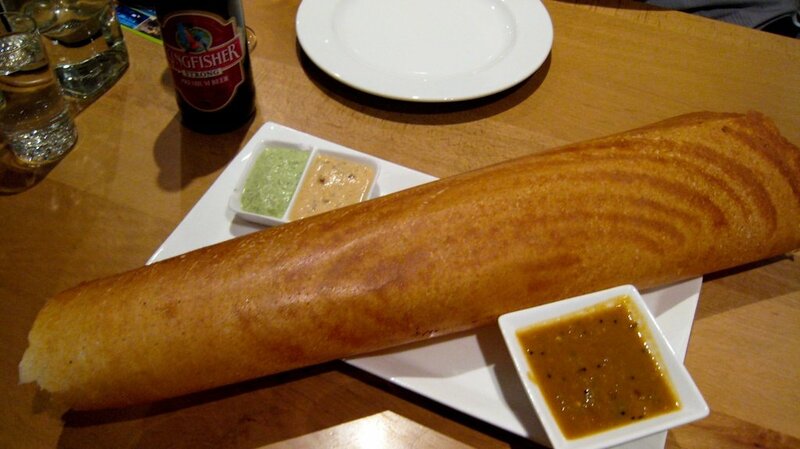 Dosa is indigenous to South India, as it makes a staple south Indian food. It originated traditionally in Tamil Nadu, but the modern version of Dosa is much crispier and thinner than its traditional counterpart. This is a healthy alternative for breakfast and street food, as compared to most of the dishes in this list. No extensive use of oil or spices in this dish, but it still tastes exotic. No meat is used, the dish is stuffed with a mixture of rice, urad dal and potato. Two other things that are generally served along with dosa are sambar and a chutney. 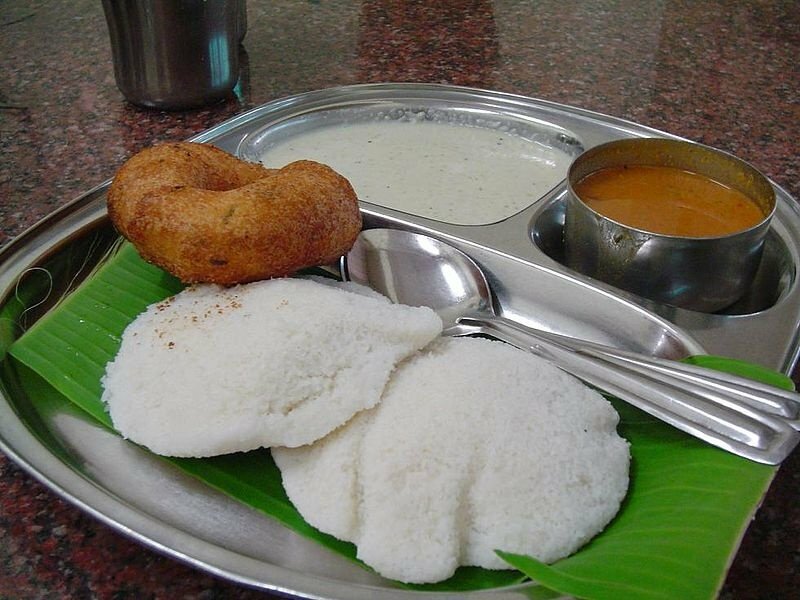 Idli and vada are also special South Indian breakfast dishes. 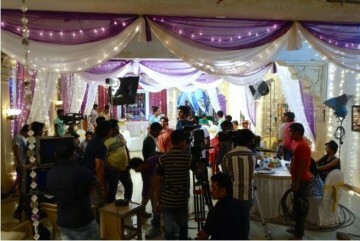 They are also popular street food in India, just somewhat healthier. Idli is a white cake made by steaming a batter of fermented black lentils and rice. Idlis are mild in taste and needs a condiment. Sambar is often used as a condiment, but this varies greatly by region and personal choice. Vada is another popular snack in India. They are made from black gram and is another traditional south Indian recipe. The standard accompaniment to vada is a helping of coconut chutney and a watery Sambar. The golgappas and panipuris are common household names in India. 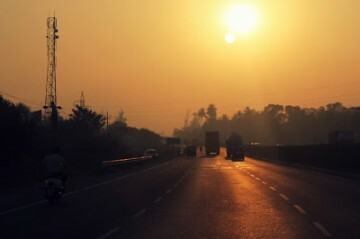 Every Indian relates to having watery panipuris from roadside stalls. This dish, famous all over India, is by far the most popular among a variety of street food options available. There is nothing in comparison to a round crispy puri, filled with potato stuffing and sour tamarind water. Any tourist coming to India must absolutely try panipuri from a roadside stall, an unforgettable experience without doubt. 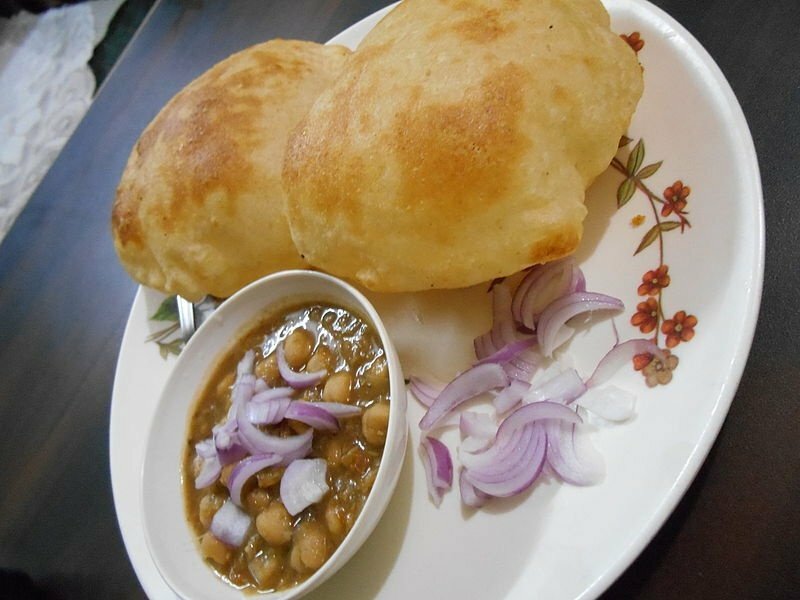 Chhole Bhatoore is a popular snack and breakfast material in North Indian houses. The dish contains one spicy curry made of chick peas and fried bread. Chhole Bhatoore is often served along with mango pickle and salads in every street side stalls in North India. The taste and texture of this dish are simply awesome. 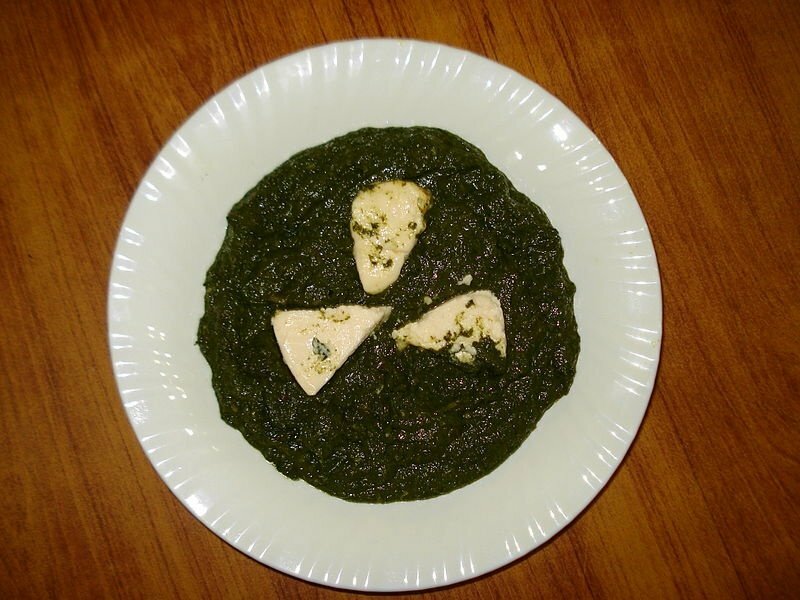 This is a vegetarian North Indian dish with cottage cheese. The main ingredient in the dish is spinach. A green thick curry is made using spinach puree, seasoned with garlic and other spices. Cottage cheese is then added to this thick sauce. This dish is served along with rice or chapatti, a kind of Indian made bread. This dish is healthy and nutritious, yet tastes absolutely yummy. 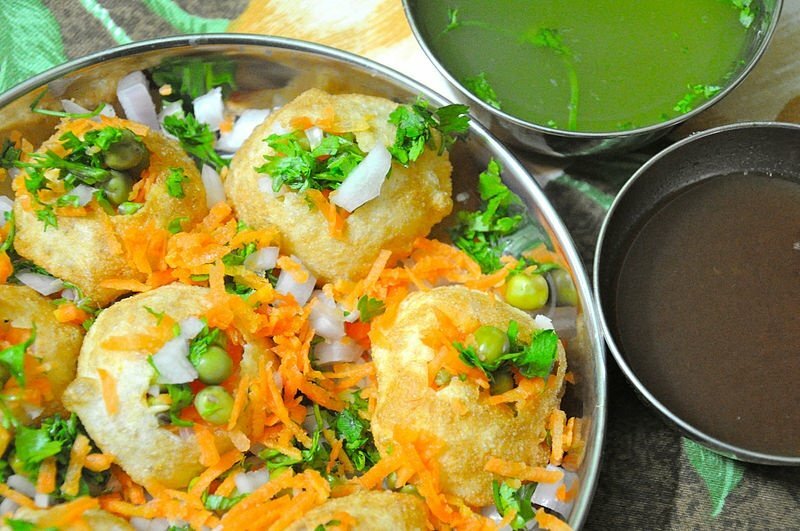 Aside from golgappa, other famous Indian street foods are samosa and pakodas. 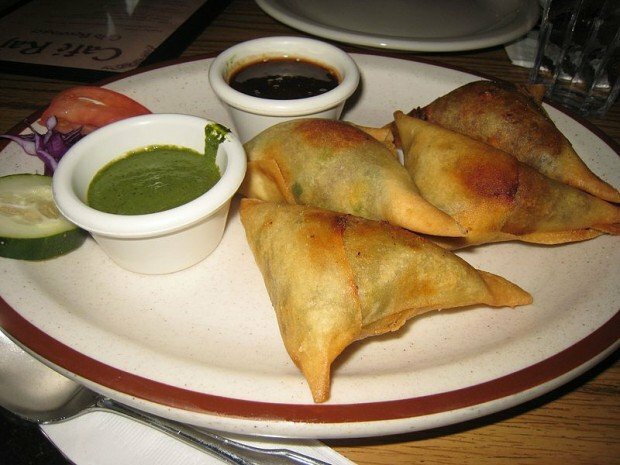 Samosas are crispy fried dough made of flour with a stuffing of potato and spices within. Pakodas are of various kinds, and different vegetables like potato, onion, capsicum, radishes are used as stuffing. Then they are deep fried. Pakodas are also made from chicken, mutton, egg and fishes. When in India, samosas and pakodas are an absolute must-try. 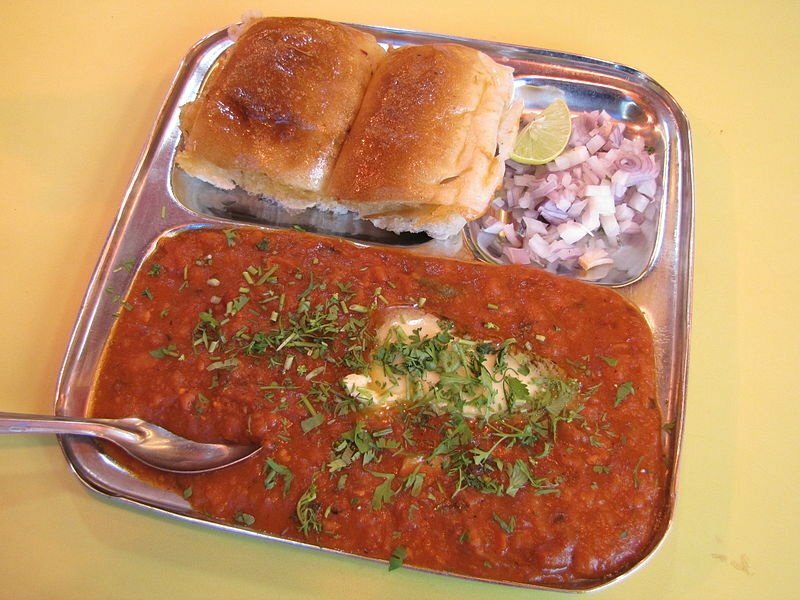 Pav Bhaji is a very famous street snack from Maharashtra. This dish consists of a vegetable curry and is served with soft rolled bread. Different eateries serve this dish with different garnishing, and the flavour of this bhaji varies widely from shop to shop. It is also a household snack for the whole of central India. Few different variants of this lip-smacking snack are cheese pav bhaji, paneer pav bhaji, fried pav bhaji, mushroom pav bhaji and the list goes on. Try some of these on your tour to India and you may retain the taste long after. This special dish is popular dessert in India. This is also a part of Pakistani and Bangladeshi cuisine. Rasamalai, commonly found in every sweet stall around the country, is a dish that every Indian feels sentimental about. 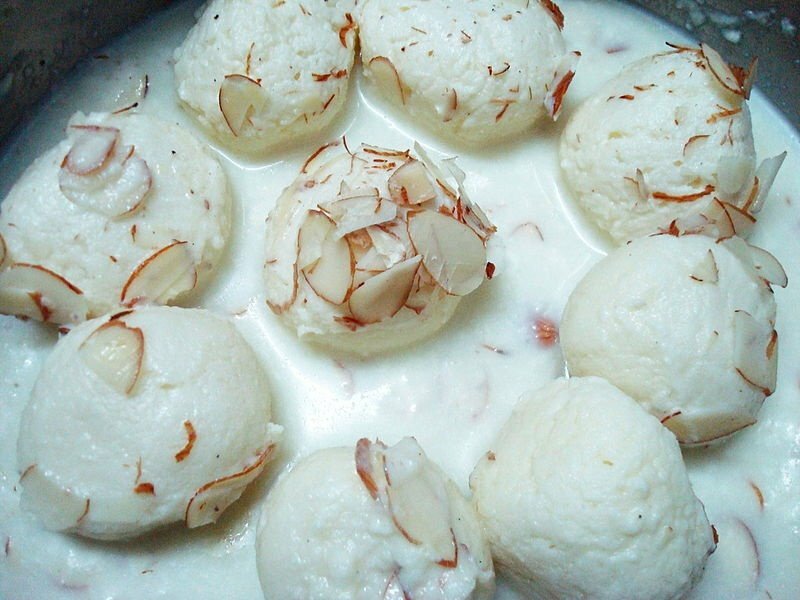 This sweet dish consists of a sugary white cream, made of malai or clotted cream and flavoured with cardamom, along with flat or roundish balls of paneer. You cannot miss having a Rasmalai if you visit India! Did I miss any of your favourite Indian food? Share your thoughts in the comments section below.